You can use the most popular smart devices that will make any home a smart home, such as the Wemo Wi-Fi Light Switch. this light switch can replace your old light switch easily. It can work with any kind of connection light that is one way. All you need is a neutral wire. Just download the free Wemo application and control your small appliances and lights, no matter where you are in the world! You can do this all through your smartphone. So instead of going home to a dark house, you can schedule stuff whenever you like. For example, you can make sure your porch lights are on prior to getting home. You can make sure your ceiling fans turn on when the temperature gets too hot. You can synchronize your lights to the sunrise and sunset—whatever you choose to do. Note that the Wemo Wi-Fi Light Switch works well with the Amazon Alexa. This means your lights can work well with voice commands. It also works with the Nest Thermostat. In this, your lights will know somehow if you’re outside of your home and it can go off or on as needed. 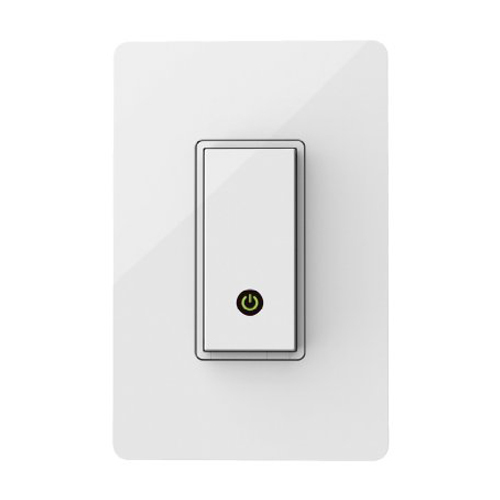 Note that the Wemo Wi-Fi Light Switch can work with any tablet or smartphone that is iOS 8 and higher and Android 4.1. Top smart devices include smart home starter kits, like the Sylvania Lightify Smart Home Starter Kit. You can begin building your Lightify home using this starter kit. The kit has an A19 light bulb, including a Gateway that controls it when you use the Lightify app. You can control and customize the ight bulb wherever you may be whenever you connect to your Lightify application. With this you can adjust the color and brightness temperature of a white bulb that is 2700 to 6500K. You can schedule, brighten, or dim your lights just by swiping your finger on your phone. You can program the device to increase the brightness in the morning in a gradual manner, making it feel like a natural and gentle alarm. With the Sylvania Lightify Smart Home Starter Kit, you can connect a maximum of fifty Lightify devices for every Gateway. 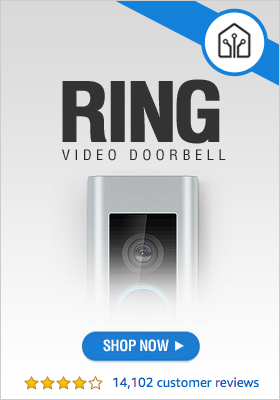 Notably, its hub works compatibly with Nest, Zigbee, and Alexa devices. Connect the top selling smart devices with Alexa and Smart Hubs, such as the Amazon Echo Dot. The Amazon Echo Dot works with any room. You can put it inside your bedroom and use it as your alarm clock that can also turn your lights off. You can also use the Amazon Echo Dot inside your kitchen to you can set your timers easily or shop online using only your voice. With the Amazon Echo Dot, you can also control your music, since it gives you voice control (hand free) using Prime Music, Amazon Music, Spotify, Pandora, TuneIn, and iHeartRadio. You can control your home using your voice. Think about it: you can switch your lamp on before you get out of the bed, you can increase the thermostat while you’re sitting on the couch, and you can lower the lights’ brightness wherever you are at home.